Good day, Royal Ones! What I share are teaching notes from my pastor’s conclusion to a series on being Spirit led. This is a powerful lesson for believers at any faith level, and is sure to build faith. Pastor Brian R. Nelson, Sr.
It’s not always about what God says, but where He leads. God does not speak until we know how to follow. He does not trust us with His voice until He can trust us with His pattern/path. He can send us with His voice when we know how to follow Him. Learn to seek God in listening, waiting in prayer with a spirit of worship and meditation. God’s got a plan for our lives. Why would He come to earth Himself in bodily form as Christ, and reconcile us to Himself if He wasn’t going to communicate that plan? My sheep know my voice and will not follow a stranger (See John 10:1-10). This means that more than one voice is talking. There are always three voices talking. We cannot silence the last two, but we have to learn to hear and distinguish God’s voice. We learn His voice through time spent. Cultivate a humble heart — Jeremiah 29:12 — We will find God’s will when we search for it with all our hearts. We must be willing to surrender every option. God reserves some things for our growth — Hebrews 5:14 — Solid food is for those who are of full age. He has things for us; but some things He will not share or reveal until we are of age. And that takes time. While we are immature in faith, God leads from the front. But when we learn to manage our options, and grow in Him, He speaks from behind (Isaiah 30:21). WORD OF GOD — 2 Timothy 3:16 — Start with His Word. It is never God’s will to violate His word. HOLY SPIRIT SPEAKING TO OUR HEARTS — Hebrews 8:10-11 — God’s covenant or promise is to put His word in our mind/heart. The preacher puts the word in our EAR, but Holy Spirit moves that word to our minds and hearts when we seek Him to live that word. The result is a change of will…a desire to conform to God’s way. PROPHECY — 1 Thessalonians 5:19 — We prove prophecy by God’s word. It is a revelation of Holy Ghost. GODLY COUNSEL — Proverbs 11:14 — Lay aside pride and arrogance, even when we sure that we are sure that we know we heard divine instruction. Counsel with mature believers who are proven in their walk with God (love, faith, etc.). CONFIRMATION — Matthew 18:16 — Confirmation can come in the process of godly counsel. Remember that everybody can’t be wrong…in cases where we believe and remain certain about a decision but others express hesitation and offer warning. PEACE — Colossians 3:15 — Follow the path of/to peace. God will not give peace if it is not His will. Keep in mind that we may have peace about a thing no one else supports. What is peace saying? We must discern the tension and chaos that hits environments. TIMING — Acts 18:1-3 — Claudius expelled all Jews from Rome. Paul leaves and arrives in Corinth. Aquilla and Priscilla also arrive in Corinth. They meet and discover 1) they are all tent makers and 2) they can share living quarters. What are the odds?! God sets stuff up in our lives to fulfill His promises. Do not fear. The people He will use will work in agreement! 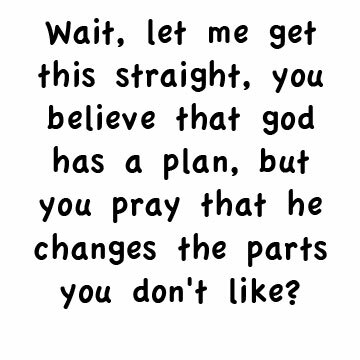 Wait and let God set it up. God reveals what I can handle in growth. We grow to know by faith, not know to grow. There is always a component of faith. God will keep us trusting Him. There you are — the notes from this bible study. Please read and print out and share. Use in your personal discipleship with new or younger believers. Be encouraged yourself!